Apple has confirmed that Apple Mac OS X Mavericks is free to download today, it'll come sporting the hundreds of new features unveiled at Apple's WWDC conference. Announced at the Apple iPad event, Apple has also announced Mac Pro pricing and newly updated MacBook Pro with Retina Displays. Just some of the features available include Finder Tabs and Tagging which is a new addition to conventional folders letting you create event tags or subject tags and then apply them to any type of file creating a portfolio of relevant content. Next up is the ability to use Apple Maps on Mac OS X Mavericks, you'll not only be able to explore 3D maps but you'll also be able to pre-plan a route using Mavericks and then send it straight to Apple Maps for iPhone 5s. 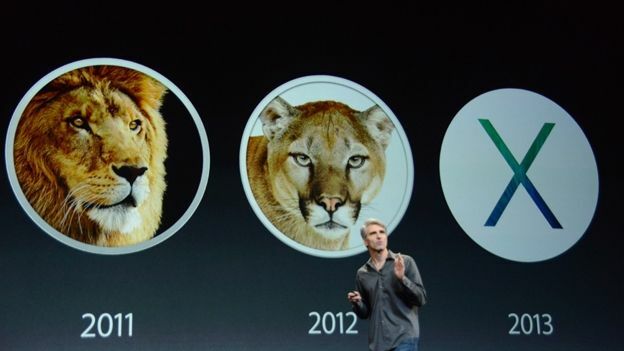 Mavericks is also the first Apple OS to have full support for multiple displays. That means users can access the dock and menu bar on each of their separate displays, run separate full-size applications on separate displays and even drag said applications across between screens, without having to put up with wonky resizing issues. Finally it'll come sporting a completely updated Safari, iBooks and the ability to get notifications straight within the OS letting you reply to messages, emails and other important correspondence straight from any app you're using. Apple has also announced a completely new iWork suite for OS X Mavericks and Apple iOS 7 which boasts a completely new design along with some key new features. iWork files are now completely cross-compatible which means a file created on iOS 7 will work on Mac OS X without any changes, this is then only enhanced further by the 64-bit processing found in the iPhone 5s. Pages, Numbers and Keynote will all now feature a contextual toolbox which will adjust depending on the function you're trying to carry out. In another massive blow to Microsoft iWork will be free on iOS 7 and Mavericks with any new Mac or iOS device. Apple Mac OS X Mavericks is not only available now but it's also available to download for free regardless of which version of Mac OS X you're running. Also announced at the event was the all-new iPad Air, a brand-new tablet that would feature a drastically reduced bezel whilst being Apple's thinnest iPad ever at 7.5mm. Apple also unveiled an updated iPad Mini with Retina Display as well as the announcement that they would be launching an updated range of MacBook Pro with Retina Display laptops.